Buy a Perception of Knowledge calligraphy wall scroll here! 知識 has the very strong meaning of "knowledge" and in some context, "learning." The first character represents "to know" or "to realize." The second character alone refers to the ability to "recognize," or "realize" and can also be used to mean "knowing." 身心 means, "body and mind" or "mental and physical" in Chinese and Japanese. In the Buddhist context, body and mind encompass the five elements (skandha) of a sentient being. The body is the physical material (rūpa) of life. Mind embraces the other four skandhas which are consciousness, perception, action, and knowledge. Not the results for perception of knowledge that you were looking for? Body and mind, the direct fruit of the previous life. The body is rūpa, the first skandha; mind embraces the other four, consciousness, perception, action, and knowledge; v. 五蘊. To receive, be, bear; intp. of vedana, 'perception,' 'knowledge obtained by the senses, feeling, sensation.' M. W. It is defined as mental reaction to the object, but in general it means receptivity, or sensation; the two forms of sensation of physical and mental objects are indicated. It is one of the five skandhas; as one of the twelve nidānas it indicates the incipient stage of sensation in the embryo. To know. Sanskrit root vid, hence vidyā, knowledge; the Vedas, etc. 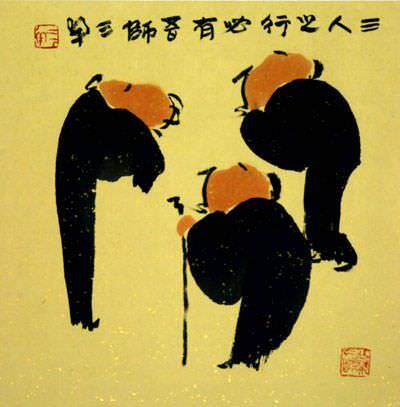 知 vijñā is to know, 智 is vijñāna, wisdom arising from perception or knowing. vijñāna, "the art of distinguishing, or perceiving, or recognizing, discerning, understanding, comprehending, distinction, intelligence, knowledge, science, learning . . . wisdom." M.W. parijñāna, "perception, thorough knowledge," etc. M.W. It is intp. by 心 the mind, mental discernment, perception, in contrast with the object discerned; also by 了別 understanding and discrimination. There are classifications of 一識 that all things are the one mind, or are metaphysical; 二識 q. v. discriminating the ālaya-vijñāna or primal undivided condition from the mano-vijñāna or that of discrimination; 三識 in the Laṅkāvatāra Sutra, fundamental, manifested and discriminate; 五識 q.v. in the 起信論, i.e. 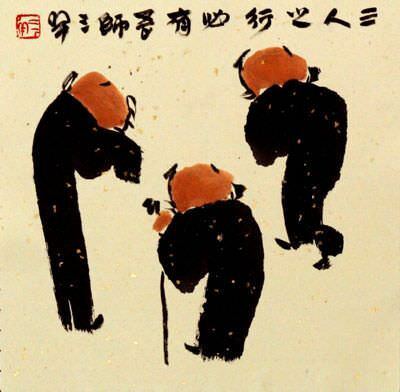 業, 轉, 現, 知, and 相續識; 六識 the perceptions and discernings of the six organs of sense; also of 8, 9, 10, and 11 識. The most important is the eight of the 起信論, i.e. the perceptions of the six organs of sense, eye, ear, nose, tongue, body (or touch), and mind, together with manas, intp. as 意識 the consciousness of the previous moment, on which the other six depend; the eighth is the ālaya-vijñāna, v. 阿賴耶, in which is contained the seed or stock of all phenomena and which 無沒 loses none, or nothing, is indestructible; a substitute for the seventh is ādāna 'receiving' of the 唯識, which is intp. as 無解 undiscriminated, or indefinite perception; there is a difference of view between the 相 and the 性 schools in regard to the seventh and eight 識; and the latter school add a ninth called the amala, or pure vijñāna, i.e. the non-phenomenal 眞如識. The esoterics add that all phenomena are mental and all things are the one mind, hence the one mind is 無量識 unlimited mind or knowledge, every kind of knowledge, or omniscience. vijñāna is one of the twelve nidānas. ; Ālaya-vijñāna and mano-vijñāna; i. e. 阿梨耶 | and 分別事 |; v. 識. The brahmaloka of limitless knowledge or perception, v. 四空天 or 四空處 and 識處天. 識無處邊定 The dhyāna corresponding to it. 識無處邊解脫 The vimokṣa, or liberation from it to a higher stage. Some people may refer to this entry as Perception of Knowledge Kanji, Perception of Knowledge Characters, Perception of Knowledge in Mandarin Chinese, Perception of Knowledge Characters, Perception of Knowledge in Chinese Writing, Perception of Knowledge in Japanese Writing, Perception of Knowledge in Asian Writing, Perception of Knowledge Ideograms, Chinese Perception of Knowledge symbols, Perception of Knowledge Hieroglyphics, Perception of Knowledge Glyphs, Perception of Knowledge in Chinese Letters, Perception of Knowledge Hanzi, Perception of Knowledge in Japanese Kanji, Perception of Knowledge Pictograms, Perception of Knowledge in the Chinese Written-Language, or Perception of Knowledge in the Japanese Written-Language. 0 people have searched for Perception of Knowledge in Chinese or Japanese in the past year.